Stardust Dance Academy was founded in 2010 with one weekly Saturday morning class, now over 8 years later we have over 30 weekly children’s dance classes in many venues around the Cambridge area supporting over 300 pupils. We offer a wide variety of classes following the ISTD (Imperial Society of Teachers of Dancing) syllabus and additional non-syllabus classes. We also run a number of dance clubs and classes as an extracurricular activity in Cambridgeshire schools. We do our best to build a sense of community within our dance school by offering social events such as Christmas parties, summer shows and movie nights for our students. Our main aim is for our classes to be fun and inclusive and we hope your child enjoys their time with Stardust! 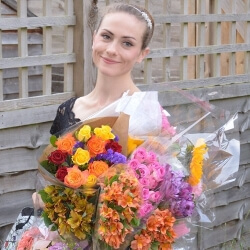 Hi, I’m Hannah and I am lucky enough to teach most of the classes here at Stardust! I love to teach all ages and do my best to ensure that every student feels welcome and included in all my classes. It gives me great pleasure to welcome new students into our dance family and watch as their confidence grows and they make new friends. I have had many pre-school students come to their 1st class nervous and clinging to parents, however, it gives me immense pleasure to see them run into class the next week with a big smile on their face! I love how much dance classes can improve a child's confidence which not only helps with our classes but also when they start school. I have danced from a young age and gained a diploma in Musical theatre in Northumberland before moving to Cambridge to train as a professional dancer at Cambridge Performing Arts. I then went onto become a dance teacher with the Imperial Society of teachers of dancing (ISTD) studying Ballet, Tap and Modern Theatre Jazz. My love of dance and passion to be the best teacher I can has also lead me to become a cheerleading coach with UKCA and an Acro Gymnastics teacher with Acrobatic arts. I started Stardust Dance Academy in 2010 with one Saturday class and I feel very privileged that I still teach some of my very 1st students now! I believe that dancing is something that everyone should be able to enjoy and hope to inspire lots of children and adults with my love of dance for many years to come. I have competed in dance competitions from an early age and my greatest acheivment is bringing home the title World Street Dance Champions in 2018 when completing with my adult team! I have also been very lucky to perform in numerous shows at amazing venues including The Royal Albert Hall and Disneyland Paris. After years of performing and competing, I then took the next step and became a qualified street dance teacher with UDO giving me the ability to enter children for street dance exams. I love teaching as I find it very rewarding and I enjoy working with children of all ages and seeing their confidence grow. Kelly has danced since the age of 5 and has studied many different styles to a very high standard. Her dedication and hard work enabled her to perform in a number of amazing venues around the works including the Blackpool Tower Ball Room, The Peacock Theatre in London as well as in the Coca Cola Parade in Germany. In 2012 Kelly was a Ballet dancer alongside Darcey Bussell in the closing ceremony of the London 2012 Olympic Games. Kelly then went onto study contemporary dance at Middlesex University and graduated with a 1st class honours in Dance Performance in 2015. 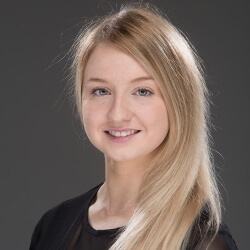 One of Kelly’s specialities is Acro dance which is a fusion of dance and gymnastics and we are very lucky to have her teaching our pupils at Stardust. 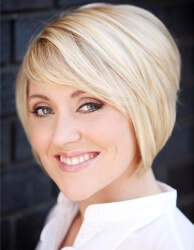 Sara graduated in 2009 from one of the most prestigious college's in London, Laine Theatre Arts with a National Diploma in Musical Theatre. She's worked as a Lead Vocalist and Dancer with Fred Olsen Cruise Line, Norwegian Cruise Line and recently completed her 4th year with Princess Cruises! 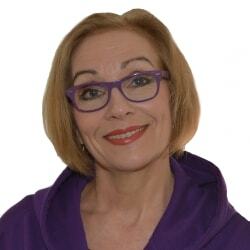 Teaching dancing and singing has always been her passion and she has taught at a variety of stage schools across Cambridgeshire. 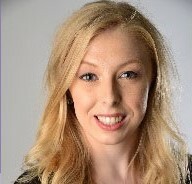 Sara is qualified in all styles but specialises in Street Dance, Jazz and Musical Theatre. "I am thrilled to now be working with Hannah and I'm excited to be part of the Stardust team!" Tori achieved her diploma in dance by studying the disciplines Ballet, Jazz, Contemporary and Choreography full time. She then went on to achieve her coaching qualification and has coached cheerleading teams and competitive dance teams since 2015. 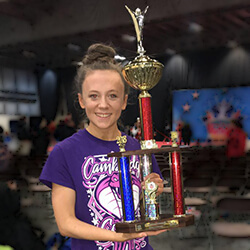 Her teams have competed all over the country bringing home many trophies and achieving the title of division champions as well as winning a bid to the battle of the champions and placing 3rd at nationals. Tori has a passion for dance and loves to bring out the best in her students helping her teams achieve great results. You will often find me outside the studio ready to greet parents and students 😊I have been involved with Stardust since the beginning and have enjoyed making all the costumes and running back-stage for the end of year shows. Having relocated to Cambridge in 2017, I am delighted to be more involved with weekly Stardust classes and getting to know our students and families better. I have a wealth of experience working with children of all ages as I trained as a secondary school teacher where I taught food and textiles technology. I also worked for a Children’s Charity where among other positions, I managed a Sure Start Children’s Centre. I look forward to getting to know you and your children by welcoming you to classes and will try to answer any questions you have.